Professional Locksmith Services For Your Home In Houston! Lost House Key? Lock Broken? The importance of having a comprehensive security setup cannot be stressed enough. There are many ways to strengthen your security, all of which are equally impressive and effective. You can change your old locks and upgrade to more modern ones, install additional locks, repair your malfunctioning ones, and even fit bolts and locks on the windows. For the best locksmith services, look no further than us –our expert team of residential locksmith technicians guarantee your satisfaction with their experience and expertise on all kinds of lock related services, 24/7. Our team of technicians is practiced in all kinds of locksmith services, including new locks installation. Whenever you decide to change your old, existing locks and upgrade to ones which are designed to keep up with the times, simply get in touch with us and have your new locks fitted, keeping your home safe and secure. 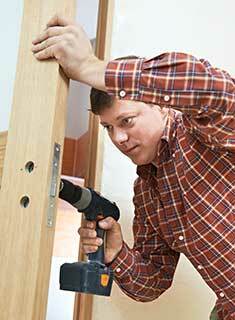 In addition to installing new locks, you can also have your existing ones repaired, should you wish to. Faulty locks only invite trouble, so it’s best to have them repaired straight away. Moreover, you can have your locks rekeyed as well, in the event that you lose your original or spare copy of the keys. Furthermore, our technicians will also help you with complete replacement of your old locks, and fit new ones, all to ensure your safety. Our facilities extend much further than just installing, repairing, rekeying and replacing old locks. In the event that you get accidentally locked out of your house, you can call us for our emergency lockout services, regardless of the time of day. Our technicians will flawlessly handle the situation and get you into your house in no time at all. In short, you can rely on us completely to take care of whatever lock related problems you might have. Our technicians are always ready to provide all kinds of locksmith services, and are available 24/7. Get in touch with us at Locksmith Houston today, and be awed at our premium residential locksmith service. How to Fix a Deadbolt Lock? How Can a File Cabinet Lock Help You? Need help with your car lock? Interested in new locks or a safe for your business? At our company we make sure that no matter what it is that you are looking for, you'll find it. We are available 24/7 for emergency lockouts or lock changes. Take a look at our website for more information or give us a call for any question or service! Look to our team of professionals for expert locksmith service that is second to none. Just fill out your contact information below and a specialist will get back to you soon! Our team offers you the finest lock and key service in town at the most affordable rates. When you give our specialists a call- your satisfaction is guaranteed! Let us know what we can help you with! The service was scheduled successfully! Thank you for choosing our company! Feel free to browse our website for more information in the meantime. Our team at Locksmith Houston is at your service any time!